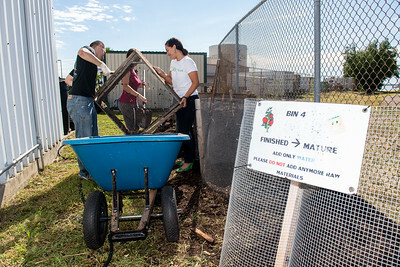 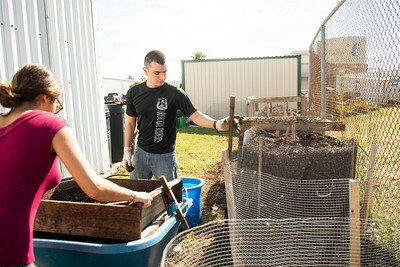 Students Mark Rolph and Christina Ballouz volunteer at the Islander Green Garden by sifting through compost. 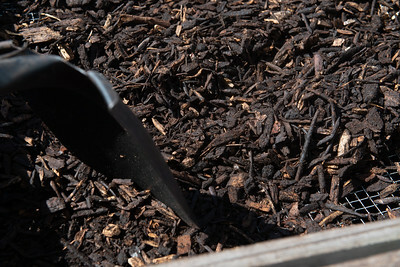 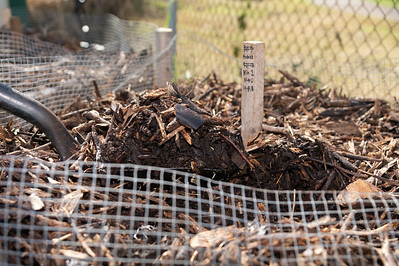 Compost is sifted at the Islander Green Garden. 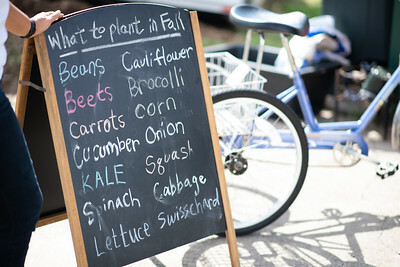 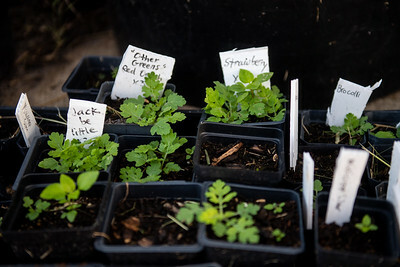 A few of the plants that will be grown at the Islander Green Garden. 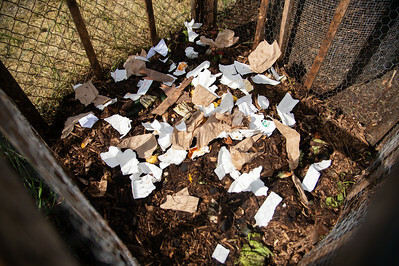 Recyclable material in one of the compost bins. 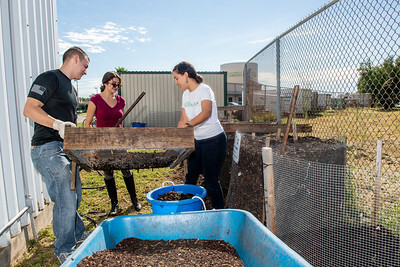 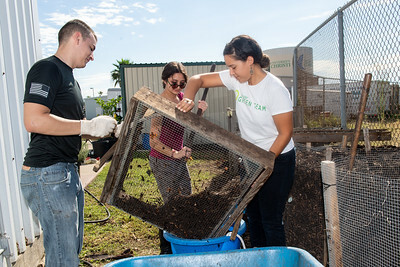 Students Mark Rolph (left), Christina Ballouz, and Melissa Zamora sift through compost at the Islander Green Garden. 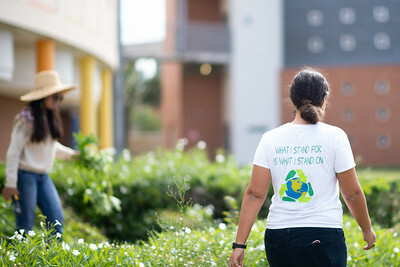 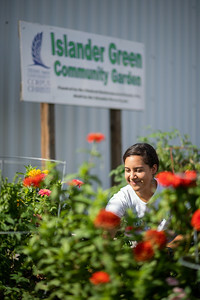 Melissa Zamora volunteers at the Islander Green Garden. 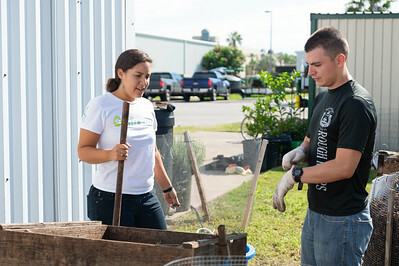 Students Melissa Zamora (left), and Mark Rolph volunteer at the Islander Green Garden. 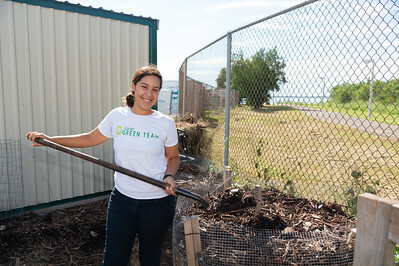 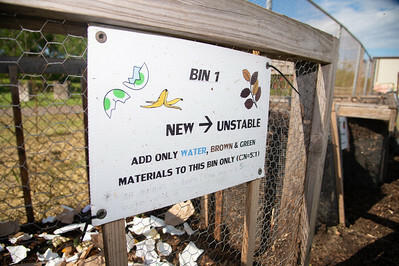 Compost process at the Islander Green Garden. 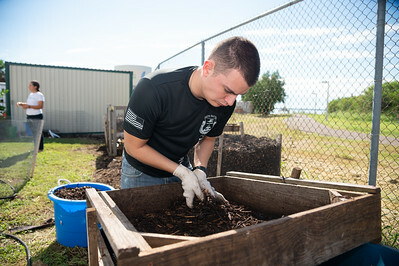 Student, Mark Rolph volunteers at the Islander Green Garden by assisting with the compost process. 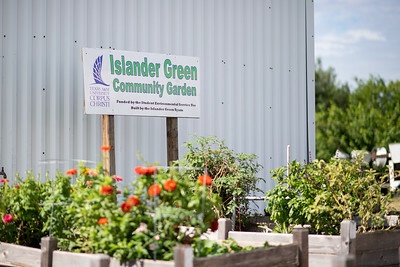 The variety of plants currently at the Islander Green Garden. 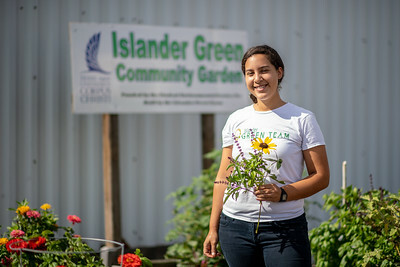 Melissa Zamora stops by the Islander Green Garden. 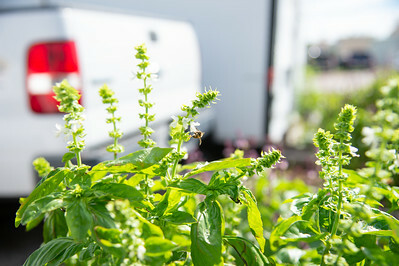 Bees play an important role of the success at the Islander Green Garden. 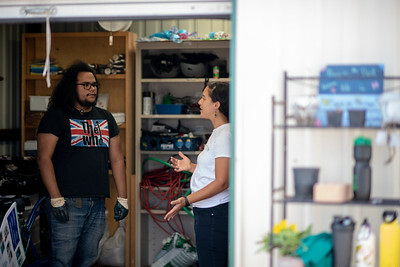 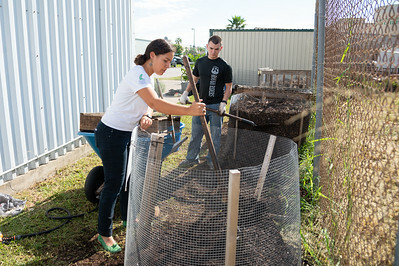 Student Paul Renobato (left) and Melissa Zamora touch base on projects at the Islander Green Garden. 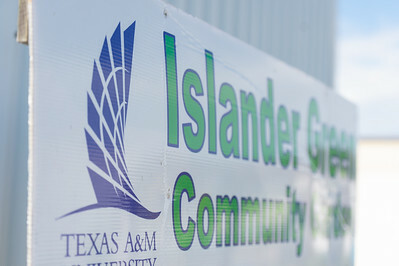 A display of plants that will be planted at the Islander Green Garden. 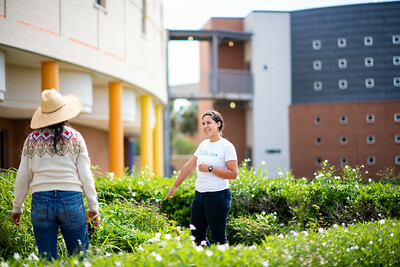 Sofia Gonzalez (left), Melissa Zamora work on the Early Childhood and Development Center's community garden. 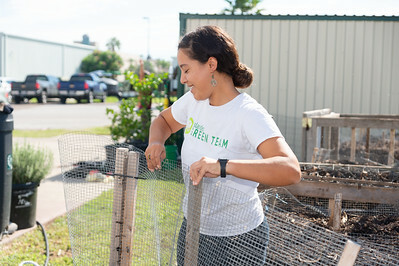 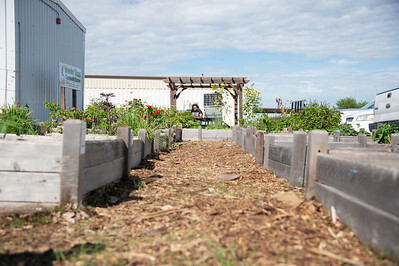 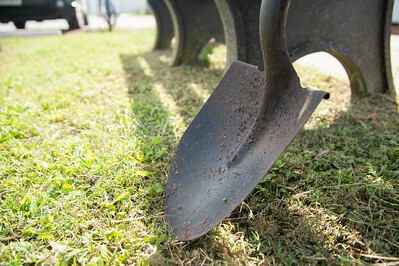 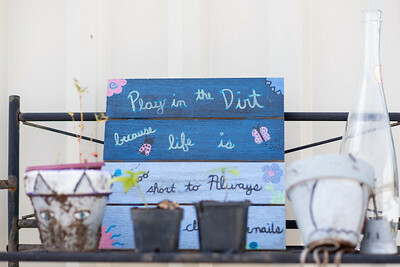 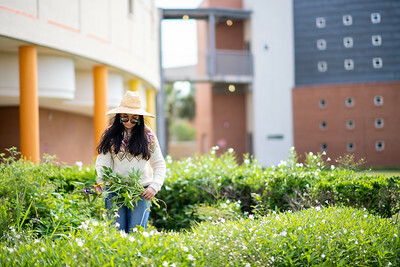 Sofia Gonzalez works on the Early Childhood and Development Center's community garden.